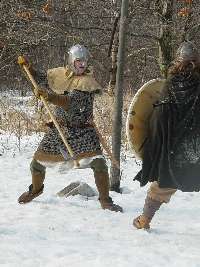 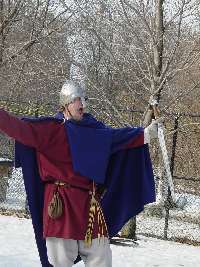 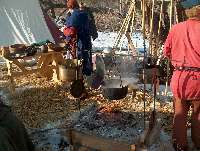 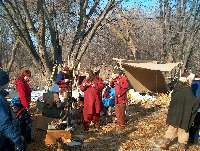 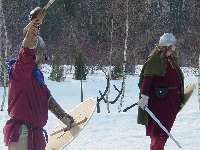 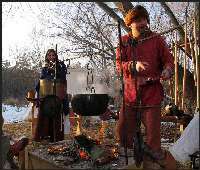 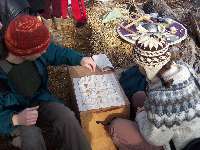 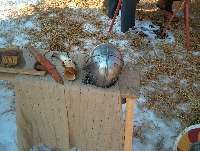 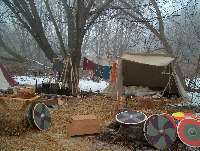 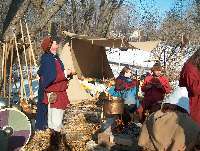 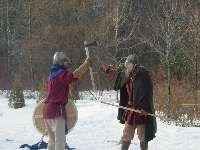 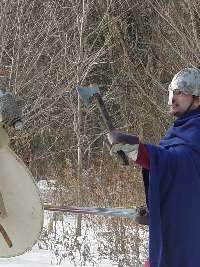 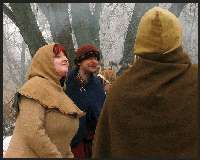 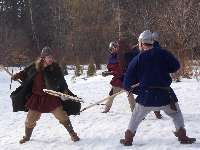 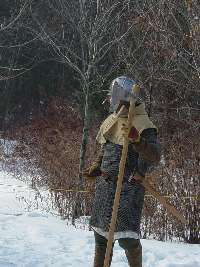 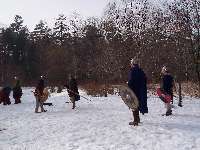 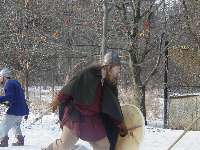 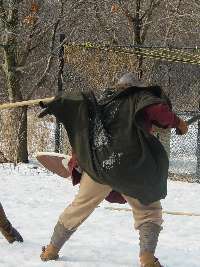 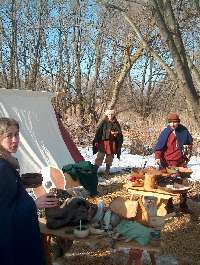 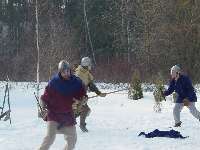 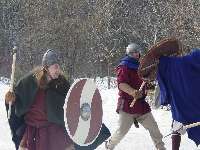 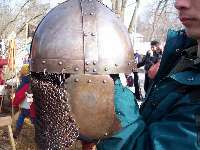 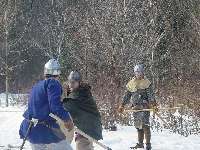 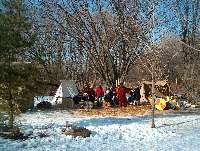 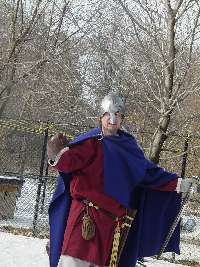 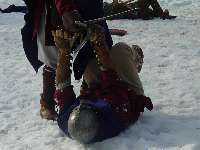 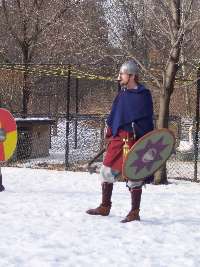 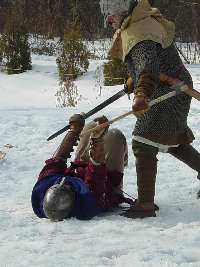 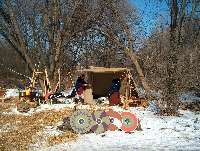 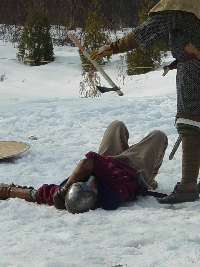 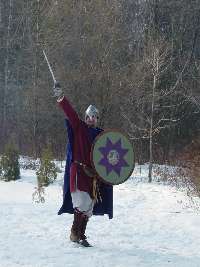 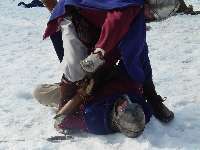 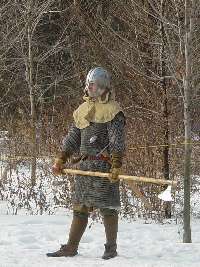 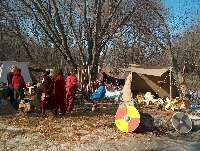 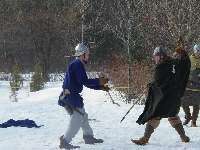 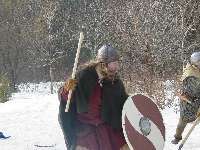 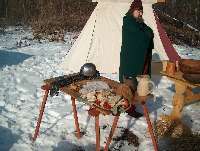 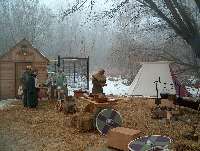 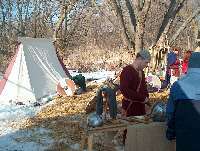 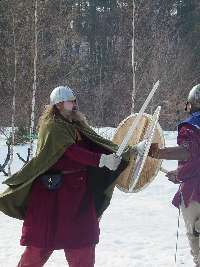 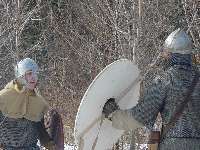 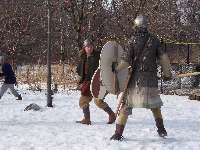 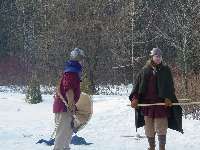 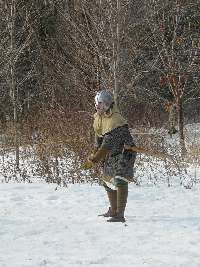 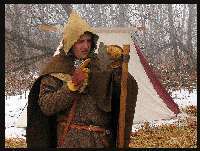 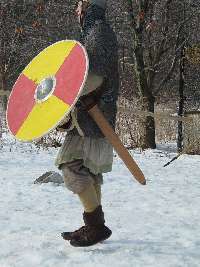 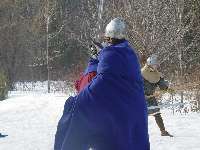 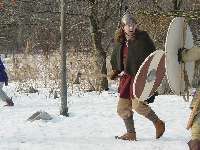 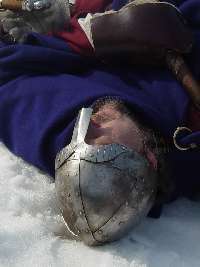 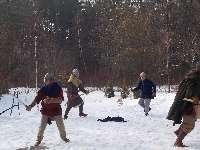 Members of the Toronto Vikings (Torvik) and Regia Anglorum from Ontario (Wynmerestow) put on a show for the Richmond Hill Winter Carnival - February 5-6 2005. 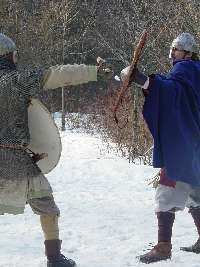 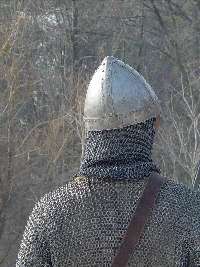 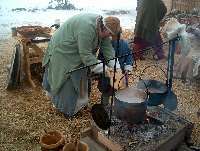 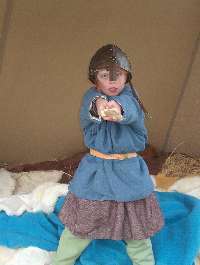 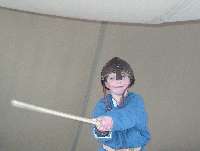 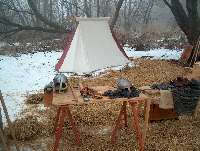 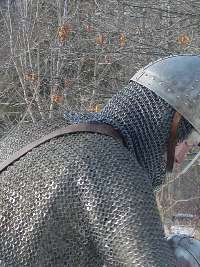 We had combat displays twice daily ( noon and 2 or 2:30 ) and a living history exhibit open from 10 - 5 each day. 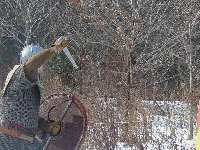 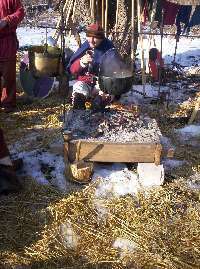 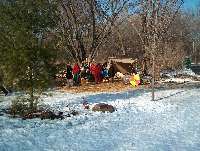 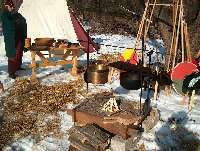 The weather was good overall ( for Toronto in Feb.) with temperatures soaring to above freezing. 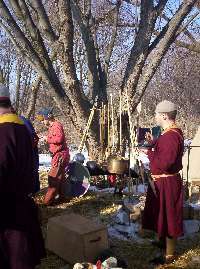 This would be the first paid show for both groups - and overall a great success. 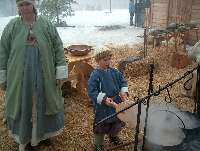 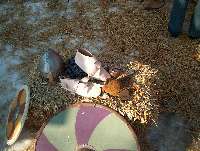 We were apparently a big hit at the carnival, as it's only 2 days later, and they've already booked us for next year.